The addition to a small house at an undisclosed location was designed in close cooperation with an artist and a good friend, who approached us with a number of existing large sliding windows of unknown origin. The design is incorporating these windows to create an additional room for the house. 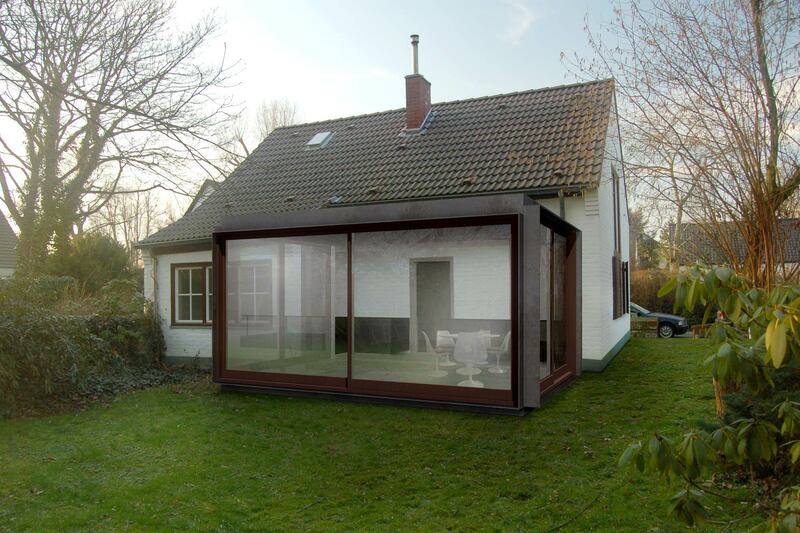 The construction consists of a welded steel frame, which acts as an exoskeleton for the existing wooden windows. 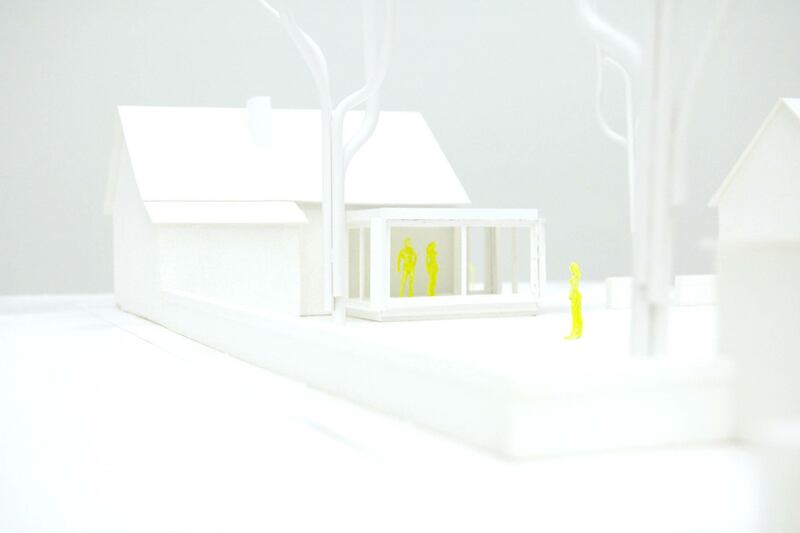 The addition was projected as a temporary intervention that could be removed without any trace. The name of the project “Häuschen+” is derived from the belittlement of the German word for House.